At Premium Pet Doors® we have an In-Glass solution for patio doors, french doors, windows and more. This in-glass pet door Endura Flap Pet Door with a 15 year flap warranty. The glass panel replacement is an insulated double pane, argon filled, thermal safety glass with Low-E coating. The Endura™ In-Glass Conversion is a customized product. Pricing is for the pet door with the glass replacement unit. There is no return available. We highly recommend use of a professional glazier or handyman to measure and replace the existing glass panel. Please call 719-800-1152 to discuss your needs and if in Eastern Colorado area, to schedule a free in-home consultation. Please enter the size of the glass panel. 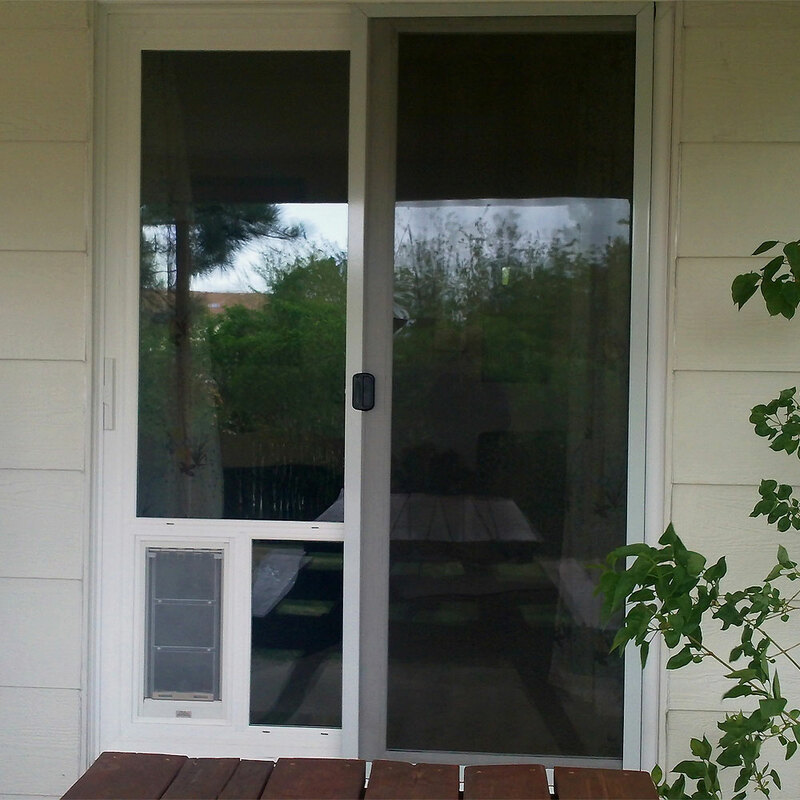 At Premium Pet Doors® we have an In-Glass solution for patio doors, french doors, windows and more. Please call for information and pricing 719-800-1152.